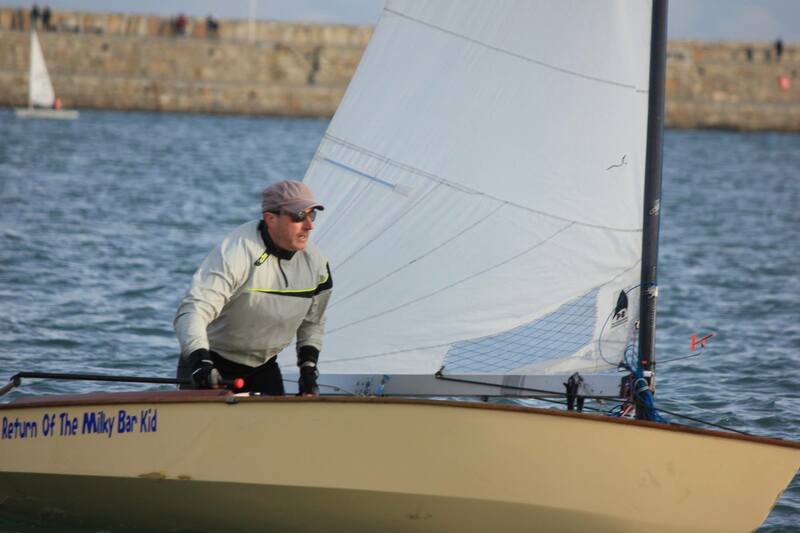 Well, the OK Dinghy was at least featuring in the action this week. Results aren’t out yet but maybe 5th in Race 1 and 2nd in Race 2 make a better result than last week. A decent start in race 1 was wasted after getting swallowed by faster boats and spat back into the melee, from which there’s no escape in a PY fleet. But a SPECTACULAR start in Race 2 got the Milky Bar Kid out at the front of the fleet and a 2nd place finish to Colin G’s RS Aero. Colin won both races on the day and is showing great speed. and the usual excellent DMYC camera crew at the windward mark captured a scene of the MBK’s skipper looking unusually serious. New sunglasses brings the MBK into the 21st century?? Another big conclusion is that the P&B main just isn’t as fast as the old worn-out North sail. Now if only North Sails UK would reply to the email asking for a price on a new one….